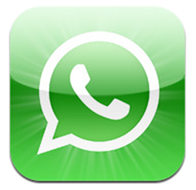 The official WhatsApp messaging platform has been one of the runaway successes of the App Store. The app has consistently been seen riding high at the top of the paid apps charts, with a lot of the success stemming from the fact that it is simple, easy-to-use and genuinely offers a cross-platform messaging experience for those who have friends or family running on Android or BlackBerry devices. Updates to the WhatsApp platform have also seen a number of new features and functionality introduced over the last few years. From a privacy point of view, one of the handy little additions is the ability to prevent other contacts from seeing when we were last active on the application. Selecting the Settings >> Chat Settings >> Advanced and then toggling the Last Seen Timestamp ‘Off’ allows users to have at least a little bit of mystery surrounding their chat status. If removing the last seen timestamp from all chat conversations is what you’re after, then one of the latest tweaks to land on the jailbroken Cydia store definitely fulfills that role as well as earning itself a nomination for having one of the longest and literal names that we have seen. The WhatsApp LSeen TimeStamp package is one of those self explanatory installations where the developer has pretty much given the functionality away in the title, even if it doesn’t exactly roll off the tongue. We’ve seen jailbreak tweaks in the past that hook into messaging apps like WhatsApp or Viber but this latest one makes a very simple change to the service. Downloading and installing the tweak will allow users of WhatsApp to toggle the ‘last seen’ information of the person that they are chatting to on and off at will. The package does exactly as it says on the tin. With that said, I can’t personally see why anyone would actually want to open that particular tin. The tweak removes the label that specifies when the person we are talking with was last seen. It seems counter-intuitive to a conversation to remove that information, unless it has been protected by the recipient via the method mentioned above. The tweak is free however, and does work like it stipulates so we really can’t grumble all that much. 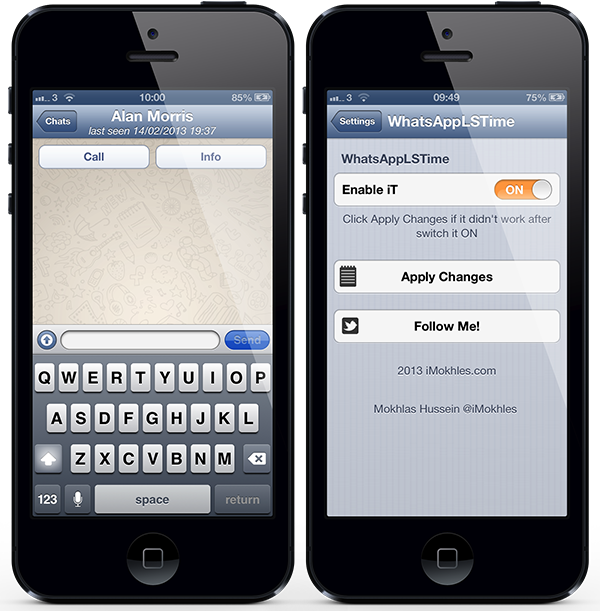 WhatsApp LSeen TimeStamp is available as a free-of-charge download from the BigBoss repository and requires a jailbroken device with the WhatsApp Messenger app for iOS installed.